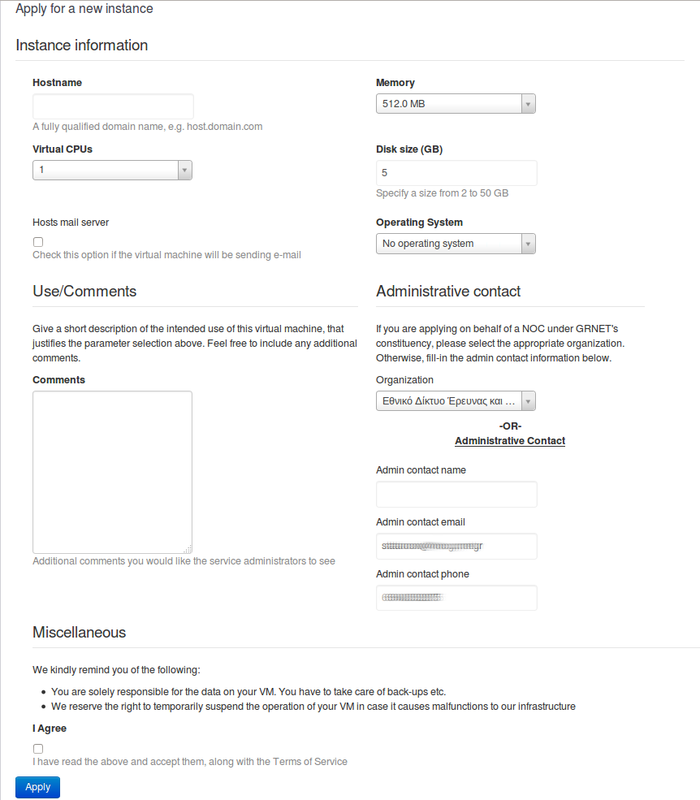 This document showcases some of ganetimgr’s features from the user’s and administrator’s perspective. ganetimgr is the frontend to a VPS service, albeit without a billing/accounting component. Regular users have access to manage only the VMs assigned to them or to their group. An administrator can view and manage every resource. 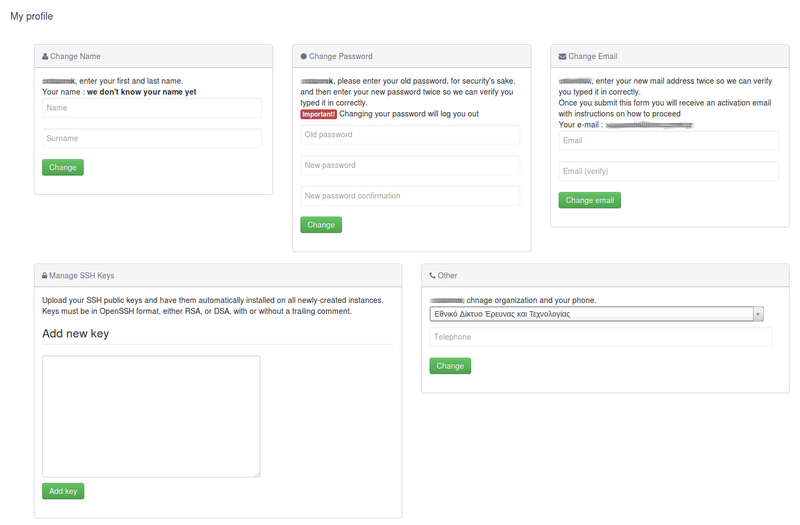 There is a permissions system that can be configured to provide refined access levels (helpdesk views). A user can’t directly create a VM since there are no quotas assigned to the users. A user needs to submit an instance application which then needs to be approved by an administrator of the service for the VM to be created. 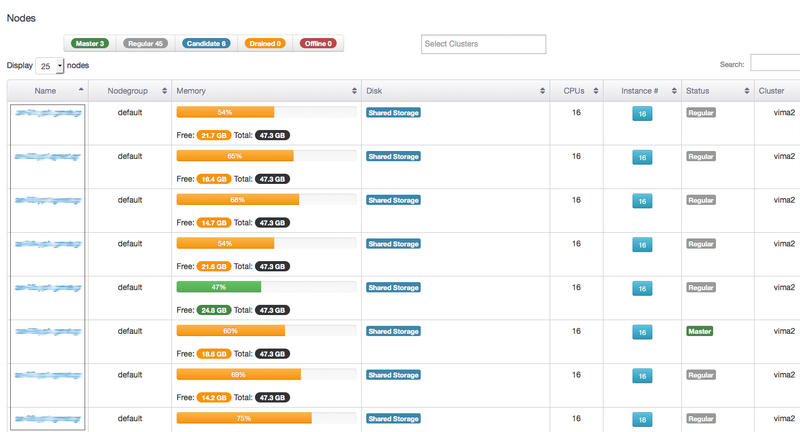 The Home view presents a table with every VM owned by the user with some basic information for quick sorting. There are also actions shortcuts for basic interaction. This is the profile settings page. The user can change the profile full name, the password or the registered email address. Also SSH key management. The SSH keys defined here are auto-injected to the VMs when an instance application is approved by the admins. The instance application form. The user requests the resources needed and contact information. User can view a timeline of the events for all his vms. When a user has this permission, they can view all instances. Combined with the above permission, they can lock an instance. 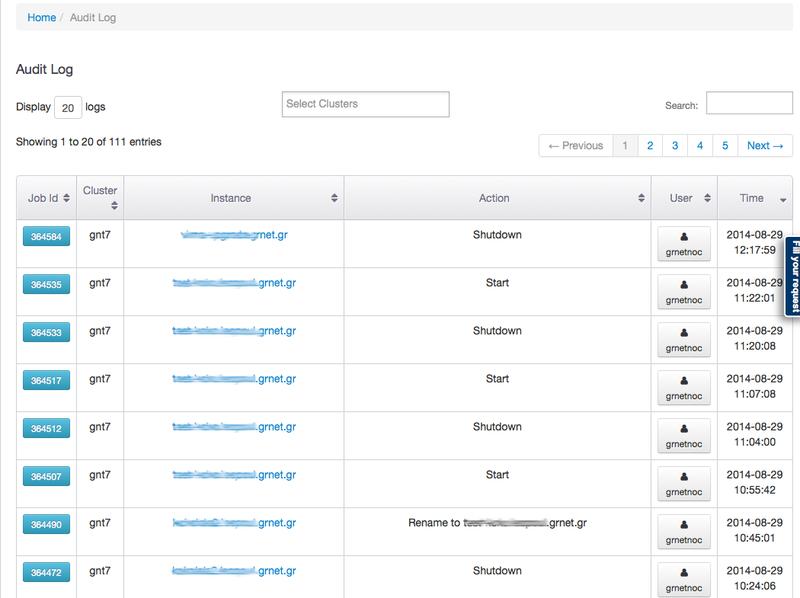 Combined with the ‘can view all instances’ permission, they can isolate an instance. The administrator has access to quite a few more views. 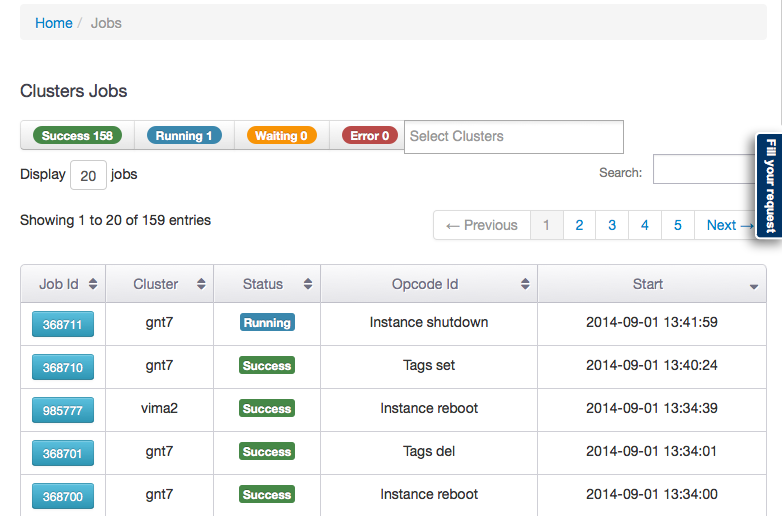 The admin main view lists all the VMs from all the clusters ganetimgr knows about. The interaction with the VM is the same as a regular users. 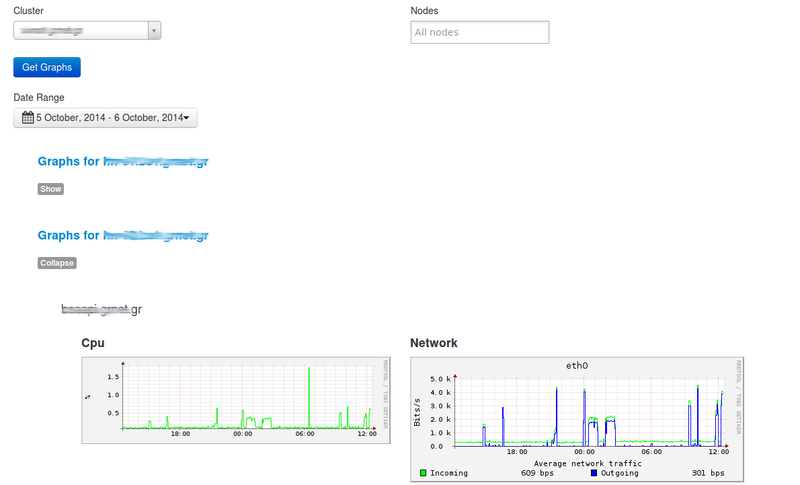 Real-time lookup of cluster-wide properties of a specific cluster. List of all available hardware nodes with important resources for easy sorting. Ability to filter based on Ganeti node status (master, master-candidate, regular, drained, offline). 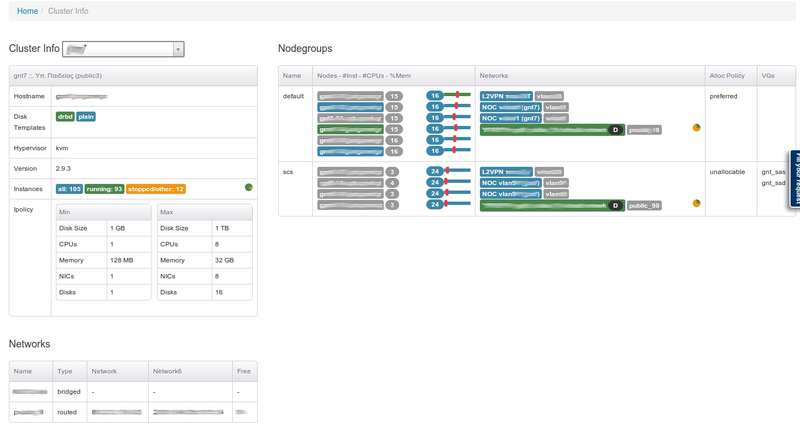 List all instances cpu and network graphs, per cluster or per node. You can collapse and expand the graphs per instance and one can select graphs between a specific time period. Real-time view of the cluster(s) job queue. Ability to sort based on job status (running, success, failed, waiting) and per cluster). The statistics page shows data from all the clusters that ganetimgr knows about. There is a view for administering applications (approving/denying the pending ones, viewing past ones), viewing interesting users (users and VM associations, inactive users, etc...). 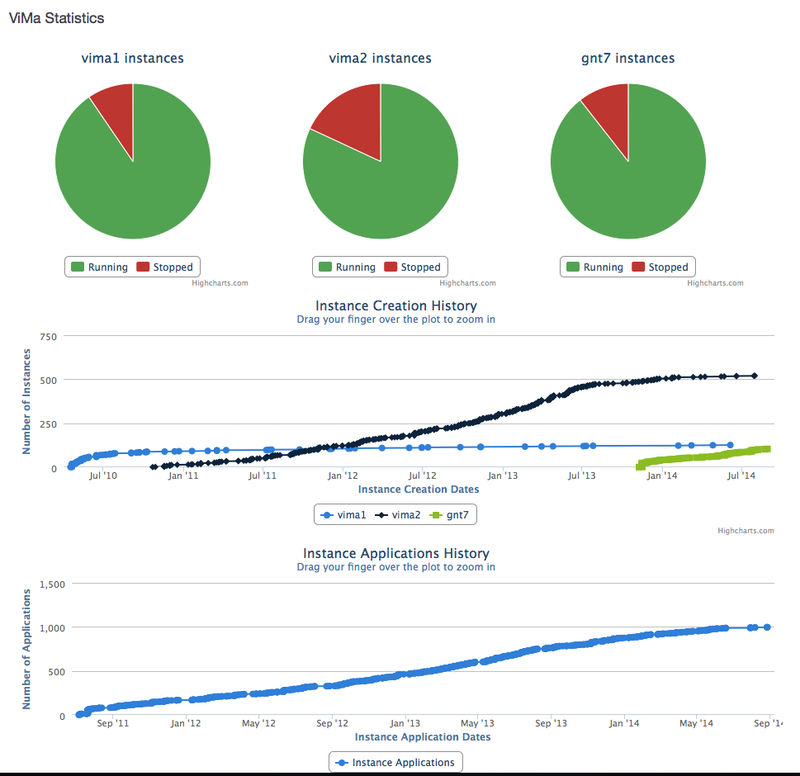 There is an instance details page, which shows the basic information of an instance to a user. A user has permission to make some actions to the instances he or the groups he is in owns. Fatal actions require email verification. An administrator can directly send mail to VM owners. 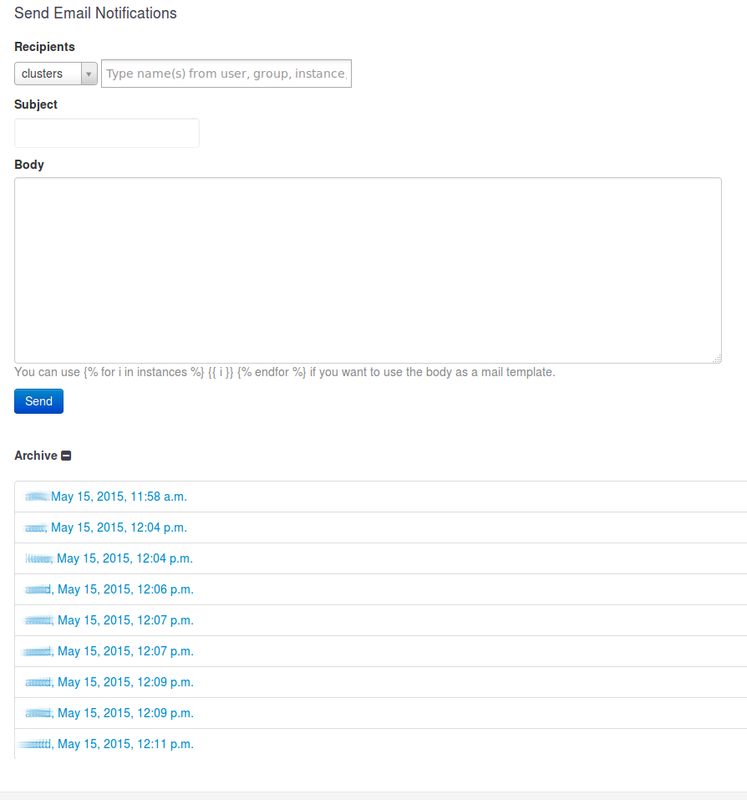 The Recipient field is dynamic. It can lookup a username’s email address dynamically and also fetch all the emails associated with a VM or even all the VMs the reside on a cluster. We have added the variable instances in the context of the message (where applicable, eg clusters) in order to show the names of a users affected instances. In this section there is also the archive where one can see all the previous notifications sent by the admins.